At Hanson Chiropractic, we’re always striving to take the absolute best care of our patients through cutting-edge technology, which is one reason we use Class IV laser therapy. 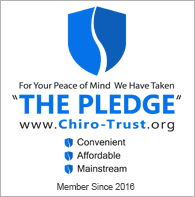 What’s more is we’re one of fewer than ten clinics to use this revolutionary musculoskeletal technology. Now we can dig deeper to root out discomfort and pain to help you feel your best. Also known as the “K-Laser,” the Class IV laser has been approved by the FDA and penetrates much deeper into your muscles than the Class III laser. These new capabilities offer improved patient results and satisfaction. What is even better is that you don’t have to undergo as many treatments to feel results as you would with the old model laser. Now you don’t have to spend as much time in our office, and you’ll continue to feel relief long after your laser therapy session is over. What type of injuries or pain is best treated with laser? Increases cells that clean up injury sites. It utilizes two simultaneous infrared wavelengths that offer constant modulation and wave. The lasers work their way deep into the muscle to relieve pain and repair deep tissues. It allows for our specialists to take care of recurring and intense pain at the same time. The body’s nutrients are channeled to problem areas to promote healing, repair and growth. You’ll also be pleased to know that you don’t have to be put under anesthesia or take medication before undergoing treatment, nor is the Class IV laser therapy classified as a surgery. Treatments aren’t addictive, there aren’t any side effects, and you don’t have to worry about being in pain as a result of your therapy. If you are interested in learning more about Class IV laser therapy, or if you’re ready to schedule an appointment, please don’t hesitate to get in touch with a Hanson Chiropractic representative. Call us at 425-355-3739 or contact us on our website..